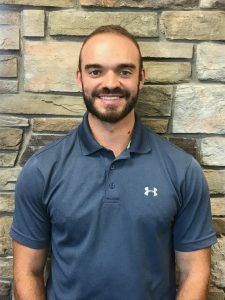 Austin is an Erie native and began working for Hertel & Brown as a physical therapy technician in 2013 while earning his bachelor’s degree in Sports and Exercise Science from Gannon University. He later completed his Doctor of Physical Therapy degree in 2018 and is now a physical therapist with the H & B team at our Summit office. Austin’s interests include orthopedic and sports-related rehab, neurological dysfunction, and balance & vestibular dysfunction. He is also looking forward to pursuing future training in the McKenzie Method for back and neck pain.